I’ve been on blog hiatus for a little while as I was on holiday in Vienna. Which was lovely. You may also have noticed from the sidebar that I’m running a little behind on the 100 Books in 2011 challenge. This is because I have been re-reading A Song of Ice and Fire before A Dance with Dragons is released on 12th July. Have I mentioned that I’m excited? 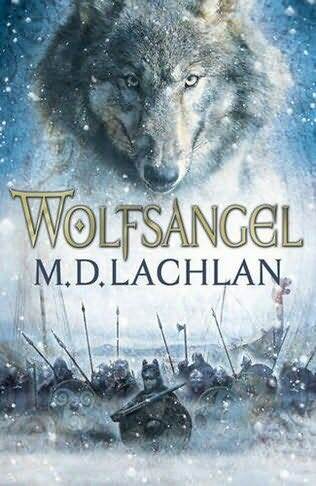 Anyway, while in the beautiful city of Vienna, I read Wolfsangel by M. D. Lachlan. I had been looking forward to this for some time, having read a number of rave reviews, and generally enjoying stories about Vikings. The story follows the lives of twin boys separated at birth, one of which grows up as the son of a lord and the other is raised by wolves. They find each other as young men and their destinies are entwined with that of a young healer whom they both love. At the same time a witch is trying to protect herself from being killed by a god by bringing forth another god, using the bodies of the twins to achieve her goal. My synopsis doesn’t really do it justice, but to be clearer about the plot would be to give away what happens. The plot is elegantly convoluted and the twists and switches are wonderful. People are not who they think they are but the reader only comes to this relevation along with the character so it is deliciously surprising. The point of view is interesting. It’s omniscient third-person, which I’m not usually keen on, but this is done so well it really highlights why I don’t normally like it. Lachlan starts with a limited third-person pov, then pulls back to a gods-eye view and then circles down into another limited third-person pov. Everytime the perspective changes this happens. There’s no head hopping. While the perspective changes can happen quite quickly and we may visit more than one head in a scene, there is always at least a paragraph with an authorial tone that separates them. This is how it should be done and how it so often isn’t. It is controlled yet appears effortless. Something else I enjoyed about the book was its lyrical style. At one level this is a re-telling of a myth and the language suits that. It takes a few pages to settle into the rhythm and, once you’re there, it’s hypnotic. I think this is especially notable in a book that is quite earthy and gory. It takes some skill to show the torments Lachlan visits upon his characters in such poetic language. The characterisation, dialogue and setting are all good. The pacing is well handled. This is an incredibly well-written novel and a great story. I loved it. And considering that I read it in the midst of re-reading A Song of Ice and Fire (which is amazing) and it still stood out to me, that makes it all the better. Do read this. This one is hot off the press! For me at least. Every so often a book comes out that I’m so excited about I buy it in hardback as soon as it’s published. 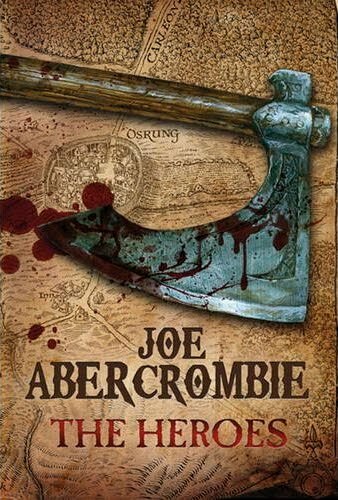 I’m a fan of Joe Abercrombie’s work and his latest book, The Heroes, came out at the end of January. I bought it and read it immediately. The Heroes follows three characters during a three day battle at a henge called the Heroes. Bremer dan Gorst is on the side of the Union, has lost everything and is trying to redeem himself through the only thing that ever gave him any sense of self-worth – fighting. Curnden Craw has been a warrior all his life and now he’s tired and struggling to work out what the right thing to do it. Prince Calder is a dispossessed prince trying to figure out how to make himself King of the North without doing any actual fighting himself. This is a book about heroism in all its glory and stupidity. It’s also about the horrible reality that is lost in the glare of heroism but without which it wouldn’t be possible. Abercrombie pretty much does everything well but his stand-out skill is characterisation. His main characters are not always very likeable; what they are is identifiable. He reveals their inner conflicts, fears, self-delusion and insecurities in a way that opens them up to us as real people. We may not like them but we understand them. I particularly enjoyed the layering of Bremer dan Gorst’s crippling loneliness throughout his POV chapters. I like the way the story uses several POVs. As well as the three main characters there are three minor characters who have story arcs through the book and a handful of others who get the odd occasion to talk. There is one chapter, called Casualties, where each scene is from the point of view of an individual who gets killed in one of the engagements. A character has a scene, is killed, and then the POV switches to the head of the character who killed them. And is in turned killed and the POV passes to the next killer. This lasts for six characters and the last is one of the main characters. I honestly didn’t know whether he would be last, or whether he would die. Abercrombie doesn’t necessarily keep his characters alive to the end of the book. He’s prepared to do what the story requires and my heart was in my mouth for the whole of that scene. Genius. Abercrombie is a visual writer who creates scenes quite filmicly, probably as a result of his previous life as a film editor. His action scenes are full of detail, movement, and sensory information. The worldbuilding is good, but lighthanded, at least for me. I’ve read all of Abercrombie’s books and the world is familiar to me. My only criticism would be the lack of female characters. Abercrombie writes women well – meaning that he writes them as people who happen to be female – and has created some really memorable female characters. There were only two (aside from background characters) in The Heroes, who were great, but had small roles and I would have liked more balance. The ending was really a mix of endings. Each of the six main and minor characters come to a turning point in their lives. Most get what they wanted but find that it’s not quite what they thought it would be. Two thought they wanted a life that was different from what they had, but when they get it, find that what they had was better. One finds that getting what she wants comes with a very high price. Another finds that getting what he wants doesn’t solve his problems or make his life any better. One gets what he thought he wanted but gives it up when he sees that what he wants really comes in a different package. And Sargeant Tunny finds himself right back where he started. I find it insightful and realistic. It’s satisfying because it speaks to emotional and psychological truth. I loved it. This is modern fantasy at its finest. And I can’t wait for the next one. Highly recommended. I’ve been putting this one off since the end of September. It felt a bit like hard work. Wolf Hall by Hilary Mantel was the Book Club book for September but this time I can’t blame the Book Club for making me read something I wouldn’t have touched otherwise because there was already a copy on book mountain when it was suggested. It was winner of the 2009 Man Booker prize and I don’t often read those, but sometimes they pique my interest. Reading this was a strange experience and I think the reason is that there are a lot of things that I like about this book but in the whole, I didn’t enjoy it. I loved the character of Cromwell. Mantel made him really sympathetic without compromising the hardness of his character. 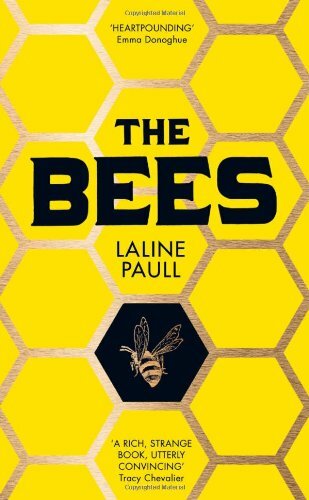 The description was lush and vivid, full of sound, smell, touch and movement, and using metaphor to work every ounce of worldbuilding out of it. It was loaded with symbolism – and I did like that because I felt I understood what was being conveyed. Sometimes I read books that are heavily symbolical and I feel like I speak a different language to the author because, although I recognise that an object is a symbol, I’m clueless as to what it’s a symbol of. Not in this case and I found it quite instructive in how symbolism can be used in a way that supports description and setting. Rather than being wanky. The viewpoint in Wolf Hall is quite experimental. It is in limited third person and is so tightly held to Cromwell that it is almost first person. It’s also in the present tense which is hard to sustain over 160,000 words. That was impressive but I wondered if this was the reason I found this book very hard to read. It was so slow. It took me a good couple of weeks and I spend at least two hours a day reading and I’m a fast reader. But I recently read another book in the present tense, of about 140,000 words, and that was a very quick read. Both would also be considered literary fiction, so it’s not the genre. The length of it was off-putting to some members of the book club, but what’s 160,000 words in epic fantasy? Nothing! Anyhow, it was hard work. 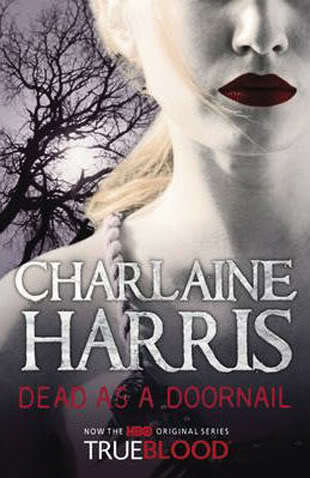 So much so that I had to stop in the middle and read a Charlaine Harris. I think what Mantel did with the viewpoint and tense was really interesting but it spoilt the enjoyment of the story for me. I liked the title, but in the end I felt that that was misleading. We don’t get to Wolf Hall until the end of the book and although in the author interview at the back of the book, Mantel says that Wolf Hall is a metaphor for Henry’s court, I didn’t get that. And given that her use of metaphor was so effective throughout I don’t believe that she meant that. I think she just liked it as a title and used it even though it wasn’t quite right for the book. There was a lot I liked about this book and I wanted to enjoy it. Because it was so slow and such hard work to get anywhere with, I didn’t enjoy it. In spite of all the things I liked about it. In spite of a great character, brilliant dialogue and gorgeous writing. I was frustrated and disappointed. This came to my attention at alt.fiction 2010. During a panel it was held up as an example of a perfectly good novel that couldn’t sell due to the market. With the upswing of the horror market, it found a publisher after having been with an agent for something like four years. I was keen to see what Twelve by Jasper Kent was like. 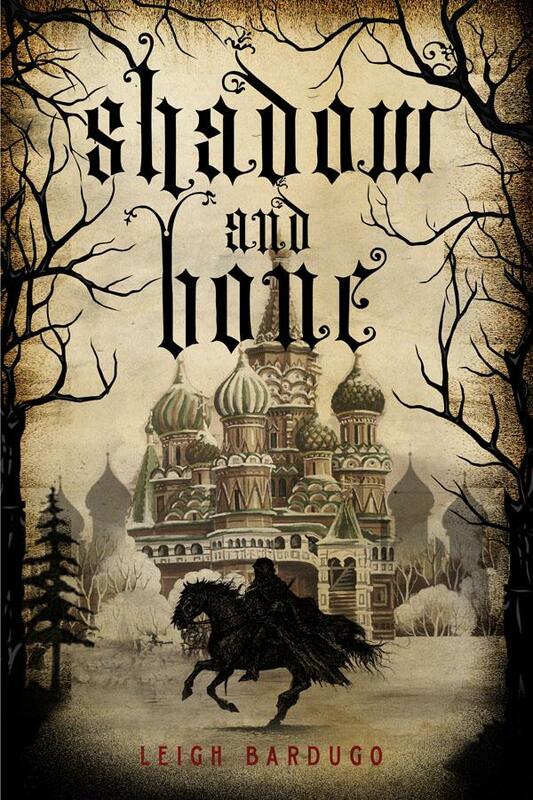 This is an historical horror; a vampire story set in Russia during the Napoleonic wars. I found the setting quite convincing, in terms of both time and place. Not that I know much about Russian history, so I’m probably quite easy to convince in that regard. The dialogue felt appropriate although I noticed a few conspicuously modern terms slipping into the narration. The vampires were the opposite of sparkly. They are returned to subhuman killing machines with superior strength and speed, yet seem quite easily dispatched by the hero once he’s convinced of what they are. There are some nice moments of suspicion and betrayal among the hero and his friends. Unfortunately, I found that the choice of viewpoint flattened the story someone. It is a first person narrator told by the hero, who is a man traumatised by torture in his past and by the choices he has to make in the present. His response is to become shut off from emotion. Which is a realistic response but as he’s the narrator it leads to an emotionally flat story. The reader doesn’t feel the horror because the narrator can’t. It nags at the edge of the consciousness and the narrator acknowledges that he should have more emotional sensation than he does (although this was a bit ‘tell’ for me) but he can’t feel what he should feel because it will overwhelm him. For me, as a reader, this felt distancing. I think it would have benefitted from first person narration by a sidekick or from third person narration. Having said that, there was an excellent twist at the end, I did enjoy it and I will read the sequel.